STUDENTS of a Melbourne pontifical institute that will close in 2018 say Australia has lost its strongest voice for families and human rights. Melbourne Archbishop Denis Hart on October 27 sent a letter to faculty members and staff of the John Paul II Institute for Marriage and Family in Melbourne advising its closure at the end of 2018. In the letter, Archbishop Hart, who is president of the institute’s council, said there were long-term concerns about a decline in the number of students enrolled at the institute, citing its “increasing burden on the Archdiocese of Melbourne”. The Catholic Leader understands that several options were offered to safeguard the future of the institute, including linking with other tertiary institutions. When these could not be realised, the Melbourne archdiocese decided that it could no longer justify the increasing cost of the institute with the relatively small number of enrolments. 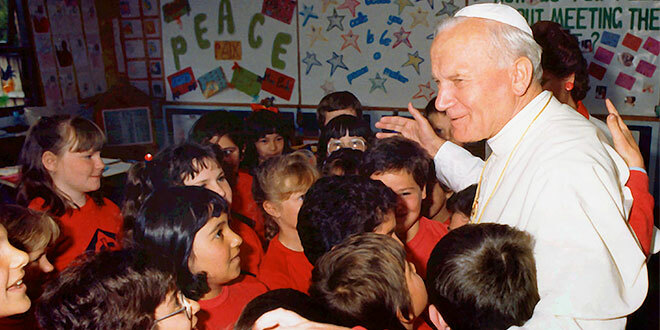 Worldwide, the institute will celebrate 35 years since Pope John Paul II established it. The Melbourne campus had recently undergone an audit for its courses, with the approval to open a third stream to specialise in Art, Liturgy and Culture in the Masters program from 2017. Brisbane teacher and father of three Simon Ashley is waiting for staff to examine his dissertation for his Masters degree in Theology, which he undertook at the institute. Mr Ashley said his dissertation was on adolescent marriage education. He and his wife were living in Toowoomba with two children when they discerned a possible move to Melbourne to study at the institute. The couple sold their house so they could afford the move interstate. He said the major drawcard for studying at the institute was its identity as a pontifical establishment. Mr Ashley said the decision to close the institute was “a real kick in the guts” for students and particularly staff, who would now have their work “thrown to the wind”. “It’s a really big loss,” he said. Mr Ashley said there was “no question” that the institute’s closure would have an adverse effect on protecting traditional marriage in Melbourne. “John Paul II set it up to be a voice in the darkness and, for me, it was a place I wanted to go to receive formation. Student association president Natasha Marsh said she was not aware of a decision to close the institute until receiving the letter from Archbishop Hart, and the recent audit seemed a positive outcome for its future. Following the announcement of the closure, Ms Marsh sent a letter to students urging action on the decision. “Apart from the personal ramifications for each and everyone of you – the real tragedy is the loss of one of the last compelling voices of Catholic anthropology in the State of Victoria,” Ms Marsh wrote.